If you’re a golf fan it’s never too early to think about hitting the links for some friendly competition and a fun day out. Last years’ event was once again held under sunny skies and participants had a great day on the course. After a delicious dinner, players participated in the silent auction and listened to faculty and students from The Lutherwood Foundation speak about how their programs have benefited from the generous donations this event affords. 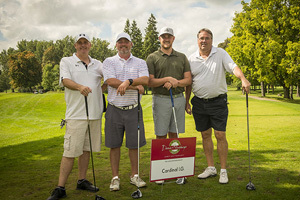 Conestoga Golf and Country Club will once again be the venue for the seventh Annual Dennis Strassburger Memorial Charity Golf Tournament. Contact Kim Strassburger at 515-885-6322 for further details. 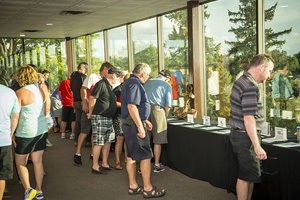 Thanks to participants and sponsors, this event has been a huge success, raising over a quarter of a million dollars for The Lutherwood Foundation. In November 2010 our dear friend Dennis Strassburger passed away. He was the co-president of Strassburger Windows and Doors. Dennis was a special man who raised the spirits of people around him with his joyful personality and humour. 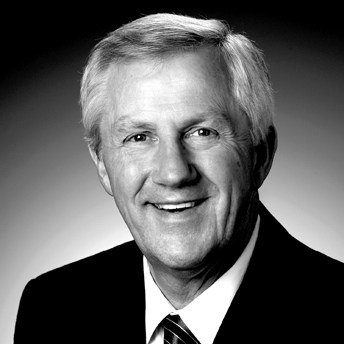 A man dedicated to family, business and friends, Dennis made the world a better place and will always be remembered as someone who made a difference. Dennis took pride in the organizations Strassburger Windows and Doors supported especially The Lutherwood Foundation. In October 2011, Denny’s Café was opened at the Children’s Mental Health treatment centre on Benjamin Road in Waterloo. Named in honour of Dennis, the café provides the youth with the opportunity to learn food and customer service skills. It’s a special place for children, families, staff and guests to congregate.